City of Milwaukee Tax Foreclosures - What's the Deal? Being an active real estate investor and broker in the greater Milwaukee area, I’ve encountered a good number of city of Milwaukee tax foreclosures. Especially novice and out of state investors find these properties attractive because they normally carry a price tag of around $2,500 – looks like a total steal, right? So, what is the deal with these properties? How can they be so cheap? Does the city have any resources to aid in their rehabilitation? And should a newer investor or homeowner start with a project like this? This article will walk through all of these questions while providing some first hand experience with these city of Milwaukee tax foreclosed properties. Milwaukee Tax Foreclosures ~ Why are they so cheap? A tax foreclosed property that we did buy in Walker’s Point. 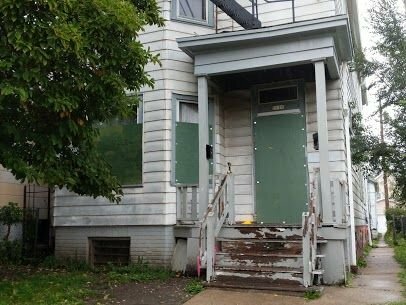 I’ve sold several city tax foreclosures to investors and would-be investors, and I’ve walked through dozens and dozens and dozens of them, and it’s my firm belief that the ones that are still on the market are almost invariably so wretched that they will continue to sit on the market before they are eventually moved to the demolition list. Or, of course, the property condition may continue to spiral downward if an unscrupulous investor buys them and does the bare minimum. That still does happen. $2,500 is cheap, yes, but in reality, the city is giving the house away, but has to have professionals involved in the give-away. 1k to the listing agent, 1k to the buyer’s agent, and $500 for title work. The city would be thrilled if anyone would rehab them and then start paying taxes! A city of Milwaukee tax foreclosure that I recently walked through with a client. He did not buy this one. The part that isn’t cheap are the scopes of work put together by the department of neighborhood services for each property. This is the work that will have to be done to get an occupancy permit and rent the property out. 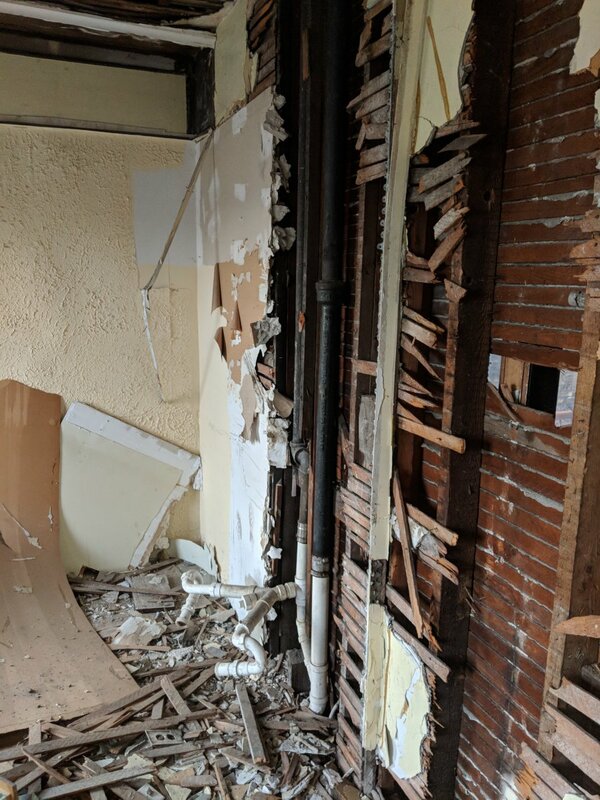 Some work can be done by the owner and his non-licensed personnel, but anything the city deems “essential repairs” (plumbing, electrical, HVAC, structure) will absolutely require a permit and the city will maintain a good bit of oversight on the project. Additionally, these scopes of work are often way underbid. As a general rule, while the investor consensus varies a bit (and apparently the scopes of work are sometimes high), it seems the city estimates are about 20-25% under what the work might actually cost. In the end, the guy writing up the scope of work is not a contractor, nor actually giving a formal quote, but an employee with the department of neighborhood services who’s just trying to make his best, educated guess at what a thing might cost. Now several years ago I almost bought a 3/3 duplex in the Uptown area of Milwaukee (North Ave & Lisbon). The city had the property listed for about $38,500, if I remember correctly. I put it under contract for $27,500 and was going to owner occupy it since one of the units was vacant, and also use some of the city resources for rehabbing the property. The scope of work was around $33,000, but if I used the HOMEBUYER ASSISTANCE GRANT to receive $20,000, I estimated that I would’ve been all into a duplex for $40,000 that would rent for between $1,500 and $1,600 per month. Sound like a heck of a deal, right? So I had the house under contract, went through the application process, and got to the point of updating the scope of work with DNS and getting actual contractor quotes on it. If I recall, they were staggered by about 10k. The first, 53k, the second 62k, the third, 74k. So, despite a property that would cash flow well if you can keep it rented, is it any kind of a deal to be all in on something for 80k when it’s really only worth 45k? Does the City have any resources? The city of Milwaukee also has historic houses available. This is one in the Concordia neighborhood. 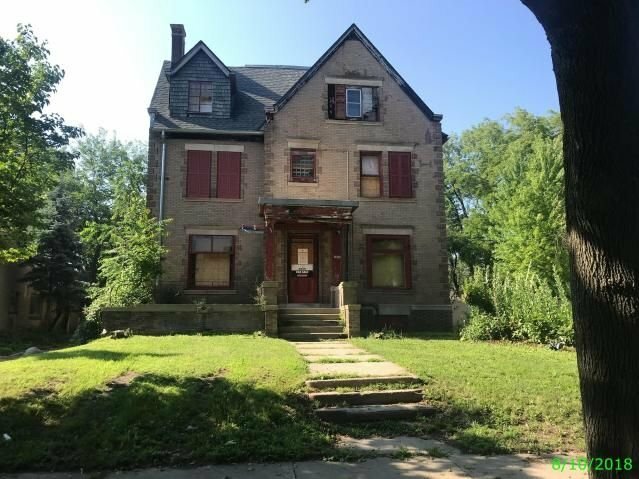 Homebuyer Assistance Program – The city will give up to $20,000 to homebuyers to aid in the rehabilitation of city of Milwaukee tax foreclosed properties. The money is given in the form of a forgivable grant which bears no interest and is forgiven over the course of 5 years. Rental Rehabilitation Program – The city will aid responsible investor/owners in the rehabilitation of city of Milwaukee tax foreclosed properties, up to $14,999 per unit on 1-4 family dwellings. There are additional income guidelines and restrictions on this program, so it is best to read the brochure on the city’s website and direct any questions directly to NIDC. Obtaining conventional financing on these properties can be very, very difficult. It’s best to work with one of the city’s local affiliated lenders who understands the process. Pyramax Bank has worked with the city doing many of the rehab loans for owner occupants. The city has additional resources available, but mainly for owner occupants. Read more about all of the city’s programs Here. And if you’d like to see what the city has available, take a look at City Houses For Sale. A good idea for new investors? Before taking on a large scale rehab it’s probably best to have some prior rehabbing experience. I have met investors who used the city’s scope of work estimate as a template (thinking it was accurate) and had projects literally run away on them, even doubling in costs. Have contractors you’re familiar with quote the work and do not rely on the city provided estimates. Try to use city resources. The city of Milwaukee wants responsible investors and owner occupants to rehab these blighted properties and put them back on the tax roll. It’s better for the city’s tax basis, and it’s better for the neighborhoods where these properties are located. I would recommend trying to treat the city as a partner in the process rather than a taskmaster. That’s all. Best of luck. If you’re considering buying a city of Milwaukee tax foreclosure, feel free to reach out with any questions you might have. At Cream City Home Buyers we are always happy to help where we can and love networking with other investors.